The Appalachian National Scenic Trail (AT) is a passive recreation footpath that runs 2175 miles from Springer Mountain in Georgia to Mount Katahdin in Maine. Ninety miles of this long-distance trail are in Massachusetts, running along the ridges and traversing the valleys of Berkshire County. Conceived in 1921 by Massachusetts native Benton McKaye, the AT was designed to provide a continuous green corridor along the ridge of the Appalachian chain of mountains and hills. 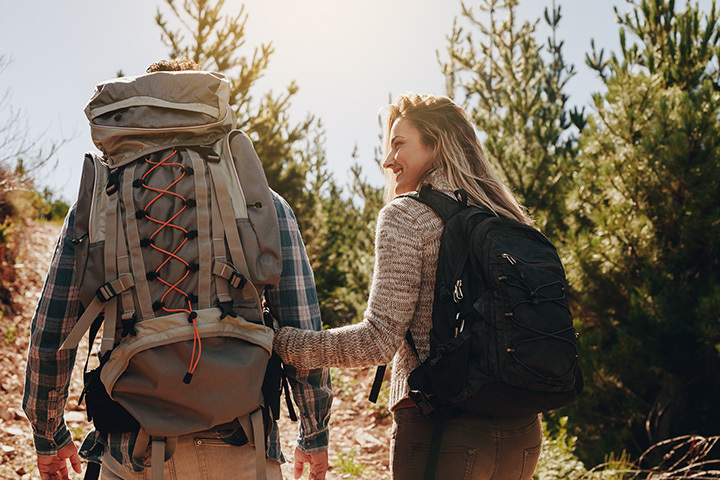 The Appalachian Trail in Massachusetts provides a broad array of hiking opportunities for both the long-distance or day hiker. Accomodations for overnight and extended trips along the trail include a lodge, a cabin, shelters, tent platforms and campsites with outhouses. The AT travels over Mount Everett in the south, Mount Greylock in the north and and through the Housatonic and Hoosac Valley's small towns. In season, AMC-managed Upper Goose Pond Cabin offers limited service accomodations for hikers.